How We Compare Car Insurance Quotes - Lanes Insurance Inc.
As experienced car insurance brokers, it’s our job to compare coverage quotes for our clients. We make looking for car insurance easy as we have access to numerous policies developed by Canada’s top insurance providers. We cross-compare each one to make sure you are getting the best coverage at the lowest possible rate. We are here to help you find the optimal car insurance coverage, and will openly communicate with you throughout the process. There is nothing we like better than being able to find a good deal for our clients, and we will never offer anything we are not proud to represent. It is not at all uncommon for car loans to extend for several years, as the cost of vehicles has gone up and retailers are trying to offer as many ways as they can to make ownership a reality. This means that lots of owners will not fully pay off their car loan before they purchase another vehicle, however there will be equity available from payments made. The amount of equity you have in your vehicle is a factor we will consider when comparing policies. Brand-new vehicles cost more to repair, and should be protected by an appropriate policy. And even though your car may not be worth a whole lot on paper, it could be worth a whole lot to you. If you have an older, reliable vehicle that you drive a lot — getting to work, running errands and ferrying around family members — plus it is fully paid off and you are not looking to buy again anytime soon, it may be worth it to purchase a plan including collision insurance. If you have a good driving record, it will likely not be much more costly, plus you then know the value of your car is protected. Different companies offer different car insurance discounts, and we’re familiar with them all. We know what questions to ask so that we can access the deductions you deserve. There are many, many more discounts available, some based on place of employment, some based on packaging of insurance policies, and so on. If there’s a discount you qualify for, we will find it. 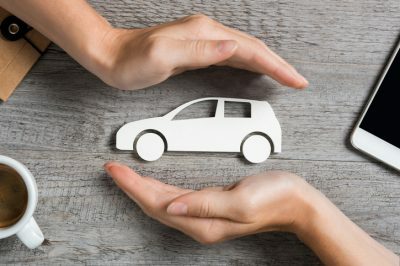 Some car insurance companies will offer an equally comparable policy to others, but with added bonuses such as roadside maintenance, increased accident and death benefits, better liability coverage, a waiver of depreciation, accident forgiveness, and more. These are the sorts of advantages we will always watch for, as they can make the difference between a good policy and a great policy. Lane’s Insurance is a leading Alberta-based insurance brokerage. Our brokers work for you, not for the insurance companies, so you can be sure they’re always acting with your best interests in mind, not their own. Lane’s Insurance has staked out a well-deserved reputation for service excellence, offering flexible and varied coverage options at highly competitive rates with value-added service and outstanding claims support. Contact us at our Calgary, Edmonton, Banff and Alberta offices.